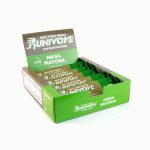 (Big Thanks to good friend of Runivore – Cory for helping us conduct this interview) Tyler Andrews is a 27-year-old business-owner who began his competitive running career late in college. He now holds the silver medal at the 50k World Championships, the World Record for the fastest treadmill half marathon, as well as a 2:15:52 marathon. On April 13th, with help from Hoka One One, he will attempt to break the 50k World Record. We had a chance to get into his head a few days before he makes his big attempt. Tyler started running late in the game. In high school he had a 5k PR of 18:30. He recalls watching Ryan Hall in 2007–while he was still in high school–run the Olympic Trials Marathon. Andrews was amazed. “I remember watching and wanting to do that, too,” he says. He enrolled at Tufts University to run under their Division III program, the lowest of the NCAA divisions, but became a seven-time All-Conference Runner. 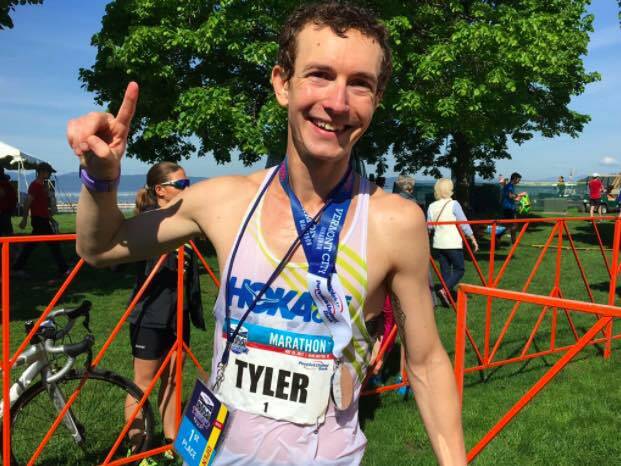 Tyler was competitive there, but didn’t shoot into the spotlight until he broke the Treadmill Half Marathon World Record not once, but twice, running 1:03:38 most recently at the 2015 Boston Marathon expo. He then went on to run his PR marathon from a 2:21 debut at Boston, to a 2:16:59 to qualify for the Olympic Trials Marathon, and now has a PR of 2:15:52. Andrews amounts a lot of his success to reuniting with his high school track coach, moving to South America and long, tedious workouts. He is now the cofounder of STRIVE, a running-based travel program in Kenya and Peru designed to help runners of all levels. This Friday, April 13th 2018 at 7:30 AM (10:30 PM at night here in Taiwan) he will take on his next challenge, where he will try to break the 50k World Record at the Santa Barbara Easter Relays. You can find a wealth of information about his training, preparation and goals, as well as a really awesome video about his journey here. What’s your favorite piece of advice you give to runners? I think it’d probably be the same piece of advice that I was given as a teenager – focus on your own self improvement. Running is so numbers-based that it can be all too easy to get caught up in comparing your PRs or race results to those around you, whether in your HS league, club team, or at the Olympics. My coach instilled in me very early this real love of the process of improving relative to myself. In high school, I wasn’t thinking about what pro runners were doing (I literally didn’t comprehend how fast they could run); I was just thinking about getting faster each week. That was an incredibly fulfilling process for me and it’s essentially the same motivation that drives me today: trying to find my own limits as an athlete. So, don’t let others set goals for you. Set your own bar relative to yourself. Focus on incremental improvement and learn to love the process. 2. What aspect of your training do you think is the most important to your success? Gosh, I’m not sure if there’s one thing. I guess if I had to boil it down to one aspect of my training, I’d probably call it consistency; or, even more specifically, consistent and gradual increase in training stimuli. That sounds really wordy, but basically what it means – and this goes back to my answer to #1 – is that I always tried to focus on doing a little bit more each season. Instead of trying to make huge jumps and maximize my fitness in the short term, my coach and I have always had a long-term approach. That means upping the mileage a tiny bit each season or year, adding in a few different auxiliary strength routines, making the workouts a little bit faster, etc. Now, I’m known for running fairly high mileage and intense workouts, but what someone might not see is that all of these runs are in the context of 10 years of gradually building up to them. So, while 170 miles per week or 20 miles at goal marathon pace might look crazy on paper, each of those is just a small step up from what I was doing the year before, which is just a small step up from the year before that, etc. 3. 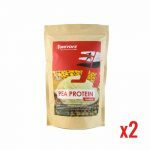 What are your rules for nutrition? Nutrition is a tricky subject because it’s such a young science. There aren’t many other fields where the general scientific consensus has gone through such rapid shifts in views in the last 50 years and even today there’s a lot of contradictory information out there. That said, I try to balance my nutrition based on some reading of science and also what makes my body feel and perform well. For example, I know eating a ton of refined sugar right before I go to bed makes me sleep worse. Or I know that eating a very carbohydrate rich meal the night before a long workout or race seems to give me more energy. This lines up with the science and works for me, so that’s most of what I’m working with. 4. Who do you think helped you the most while developing as an athlete? I have to give almost all of the credit for my running career to my coach, Jon Waldron. He was my coach in high school – the same one mentioned above who instilled this love of self-improvement and really lit the fire under my feet – and we stayed in touch after I graduated and have been working closely together since I turned pro in 2013-14. I really didn’t think of myself as an athlete at all before I met Jon. I had joined the cross country team mostly as a way to meet my high school’s PE requirement, but I was really a musician. I was the kid in all the bands, organizing concerts, recording other people’s songs, etc. It wasn’t until I met Jon that I really saw running as something I could pour myself into. I was always a very driven and passionate person, but Jon was the one who convinced me to channel that passion into running. And he’s really been there with me every step of the way. He’s one of the most humble guys you’ll ever meet and constantly downplays his own role in my running success, but I truly wouldn’t be where I am without his support and guidance over the last decade. I can’t tell you how many times I’ve called him with a plan to do some really stupid workout that would almost certainly leave me burnt out or injured and he would calmly explain why that might not be the best idea. But even beyond running, he’s someone who’s always been there whether I wanted to vent about a disagreement with my college coach or ask advice about getting married. We’ve known each other for a long time where we’ve both gone through a lot of life changes and I think that’s one of the things that makes our relationship special. 5. Do you get angry when people call it “jogging”? Ha! No, people can call it whatever they want! I personally differentiate between “jogging” and “running” (mostly just by the pace or intensity of the run), but if people are getting out and being active, they can call it whatever they want. 6. If you could spend the rest of your life running in one place, where would it be? Wow – another hard one! I’ve been extremely lucky in that my running career has taken me literally around the world. I’ve spent the most time in the USA (Boston and D.C.), Quito, Ecuador, and Pisac, Peru. I’m based in Quito right now and really, really love it there. The weather is pretty much perfect year round, it’s got tons of beautiful places to run (even in a big city), and I’ve got an amazing community of athletes to train with here. If I had to pick one place, it might be here. But, if I could keep traveling, meeting new people, exploring new places on foot, I’d definitely take that. 7. What was the biggest mistake you made while developing as a runner? I’ve made just about every mistake you can make as a runner: little things like forgetting vaseline on long runs to bigger picture issues like trying to lose too much weight or increase mileage too quickly. I think of all the more existential mistakes I’ve made, they all come back to one word: impatience. Running is a very long-term sport and, especially distance running, requires an enormous amount of patience to reach your potential. I guess this goes full circle back to the very first question, but there were definitely times where I lost site of that idea of incremental increase and just wanted to make those big jumps – I mean, who doesn’t? And sometimes you can get away with a big jump in the short term; you can survive a couple super high mileage weeks or you see an immediate boost in performance if you lose a few pounds, but in the long term, those aren’t sustainable and your body will break down. It’s only a matter of time. The Kenyans have a phrase “polepole kama kobe” – “slowly, like the turtle”. It means be patient. Take things one step at a time, one week at a time, one year at a time. Just like people don’t win marathons in the first mile, distance runners don’t reach their maximum potential in one season, no matter how hard you train.